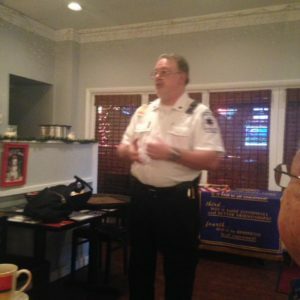 Our club welcomed guest speaker, Joe Johnson, of Shaler EMS. He has been serving our community for 24 years. Shaler EMS is now providing emergency services for Etna Borough. They are an advanced life support unit and received an award for their cardiac care. Be sure to support the annual subscription drive which you should be receiving in the mail soon. They are truly an asset to our community.